There are two main reasons regarding the church being apostolic: apostolic mission and apostolic teaching. There is also a theory regarding the apostle Peter and papal succession. Firstly, the two New Testament words translated as ‘Apostle’ are apostolos and apostolē, both of which signify mission and being sent out. Mission is at the heart of the apostolic church in that it is sent into the world with a Gospel that is for all. Therefore the two assured reasons that the church is apostolic, is due to its being founded on the authority of Apostle-based teaching as found in the New Testament, and apostolic mission as in the Great commission (Matthew 28v18-20). Secondly the church is apostolic because the Church, according to Paul, is founded upon the teachings of the Apostles (Ephesians 2v20). The Apostles as witnesses to the very life and teachings of Jesus, and their teachings, were the identification mark that was considered normative practice for the early church. The Apostles still play a role in church life today, in that the church’s teaching, authority, life and preaching is based upon the apostolic teachings found in the New Testament. Thirdly, there is a theory that the church was founded on the Apostle Peter, and that the church today has an apostolic link to him via papal succession. This is based on the thinking that the Apostle Peter was distinct from the other apostles in that Jesus always chose him first and that he spoke freely and independently from and for the other apostles. It is also based on the tradition of cathedra Petri that states that Peter alone had Episcopal authority, and that this is passed down through the Roman Catholic Church and its pope. This view is based on Peter’s confession of Jesus being the Christ, and Jesus stating that the keys to paradise are for Peter alone (Matthew 16v18-19). However this interpretation is erroneous and there are a multitude of objections to this theory. The principle objection being that all of Scripture, warrants that the church is founded on all of the apostles and all of their teaching, and not just on Peter alone. This is the correct view and to read anything else into the pretext and context of Matthew 16v18-19 is erroneous. The means by which this hallmark can be tested in any church can be monitored in the function of Bible interaction. If the church is a community engaging in bible teaching, then the church can be seen to truly be ‘apostolic’. Were they accepted as authentic and used by the Church? Were they in agreement with the doctrine handed down from the apostles? Self authenticating - Godly men and women could recognize God's Word. What is the Bible? The Bible is the Word of God, and is the instrument of the Holy Spirit to bring people to faith (Ephesians 1v13) and ongoing sanctification (Ephesians 5v26). Paul writes that all of it is “God Breathed” (2 Timothy 3v16), in that it is inspired by God and has its origins in God. It is not just the ideas, but also the words that are inspired by God (1 Corinthians 2v13). Why interact with the Bible? The Bible is capable of being understood by all God's people. God the Holy Spirit enlightens the minds of Christians Disciples, so that they can understand spiritual truths (1 Corinthians 2vv10-16). Through interacting with the Bible, the church teaches, rebukes, corrects and trains people for the purpose of righteousness (2 Timothy 3v16). By interacting with the Bible, Christians keep from sinning (Psalm 119v11), are comforted (Psalm 119v52), have their minds focused on God (Psalm 43v3) and are sustained in a daily spiritual life (Deuteronomy 8v3). The church also interacts with Bible, as the Bible is a link to the apostles (New Testament) and prophets (Old Testament), who are the foundation of the church (Ephesians 2v20). There are five main ways in which Christian Disciples can interact with the Bible. Public reading of Scripture was regular in Israel and in the early church (Nehemiah 8v3). Presently due to high literacy particularly in the Western world, Scripture can easily be read in private as well as corporately. Memorization of the Bible was commended to “lay up His words in your heart” (Job 22v22). By reading and memorizing the Bible, meditating on it helps understand the implications of life’s occurrences and God’s blessings (Joshua 1v8). These three interactions lead to a fourth: that of obedience. By obeying the Bible the Christian Disciple learns to obey God, as it is His word (Deuteronomy 31v12). Fifthly, preaching/teaching of the Bible receives the main emphasis in the New Testament, such as at the Church’s birth and Peter’s address to the crowd (Acts 2). After they were dispersed due to persecution, the Apostles continued preaching and teaching (Acts 8v4). Luke gives thirteen different words for preaching, and over thirty are used in the entire New Testament. Preaching is defined as God communicating Himself to man through other humans empowered by the Holy Spirit. For John Stott, preaching is the centrepiece of worship to God in the Spirit’s power. These four marks of the church can be summarized like this. The church is one because Jesus is one; the church is holy because Jesus is holy; the church is catholic because Jesus is saviour of all; the church is apostolic because , as the Father sent Jesus who taught the Apostles, Jesus sends us to teach the Apostles teachings. It is these four hallmarks and their functions that are the test of whether a church is a biblical church. For more to think about please do read 2 Timothy 4v1-5. Ask yourself the following questions, writing them down if you can, and see how you respond or react to them. Then why not share your answers with your spouse or a close friend, so that you can pray over any issues together. Q1. As a Christian Disciple, do I need to change how I interact with the Bible? Q2. As a Christian Disciple, why and how can I be watchful and endure? Q3. Do I as a Christian work at telling others about Jesus? The word catholic derives from the Greek word katholios, and its first written appearance is in Ignatius’ Epistle to the Smyrnaeans. Second century Christians used it to describe themselves signifying that God’s salvific truth was to be communicated across the world, transcending all barriers of nationality, cultures and language. The word was also used to symbolize their distinction from the heretics and their false teachings. In the mandate of Matthew 28v19, Jesus commands that the Gospel is spread throughout the world, and the church was to be His witnesses empowered by the Holy Spirit. Whilst the other first century religions were exclusivist by race, intellect or other means, Christianity was unique in that it was open for all, regardless of gender, race, culture or class. Paul had this in mind when he wrote “Faith in Christ Jesus is what makes each of you equal with each other, whether you are a Jew or a Greek, a slave or a free person, a man or a woman.” (Galatians 3v28) The Gospel message proclaimed was for all people everywhere, including those with immoral pasts, just as Jesus commanded in the Great Commission (Matthew 28vv18-20). While ‘catholic’ may be defined as universal, it can also be understood as referring to the whole. This is because a ‘catholic church’ is a whole church, in so much as that the Gospel impacts every aspect of a human and the ‘catholic’ church addresses the heart, mind and will of all people everywhere. The church possesses in itself every kind of virtue, which can be named related to words, deeds or spiritual gifts of every kind. It is also whole or universal in relationship to time and history; in so much as there has always been a people of God and will remain so after the end of time on earth. It is participation within the church of the past, the present church and church of the future, which reflects catholicity. It is through the function of mission, that this hallmark can be tested in any church can be discerned in the church. If the community engages in gospel outreach, then the church can be seen to be ‘catholic’. What is evangelism? Evangelism is purely telling others of God’s message of reconciliation to all people of all time. It is not forcing people to adopt Church standards (1 Corinthians 5v12) and nor is it simply a message of join the church as a symbol of good works (Ephesians 2vv8-10). This catholic gospel says that everybody has sinned against God (Isaiah 53v6; Romans 3vv10-11); nobody can earn their reconciliation with God (Ephesians 2v9); that God sent His Son Jesus to be born, crucified and resurrected so that salvation can be had for all people of all time (John 3v16; 1 Timothy 1v15); and that it is by acquiescing to God by faith in Jesus alone that people are saved (John 5v24; Acts 16v31). Why evangelize? The prime motivation for evangelism is out of gratitude for what God has done for the church, in that the church loves because He loved first (1 John 4vv10-12, 14,19). It was this sentiment Paul refers to when he writes, “For Christ's love compels us, because we are convinced that one died for all, and therefore all died.” (2 Corinthians 5v14). The New Testament church told of God’s reconciling message out of an “overwhelming experience of God’s love” which they had received. Also God is a missionary God. Jesus was sent to save the lost and redeem mankind! The Holy Spirit was sent from the Father and the Son! For more to think about please do read 2 Corinthians 5v11-21. Ask yourself the following questions, writing them down if you can, and see how you respond or react to them. Then why not share your answers with your spouse or a close friend, so that you can pray over any issues together. Q1. 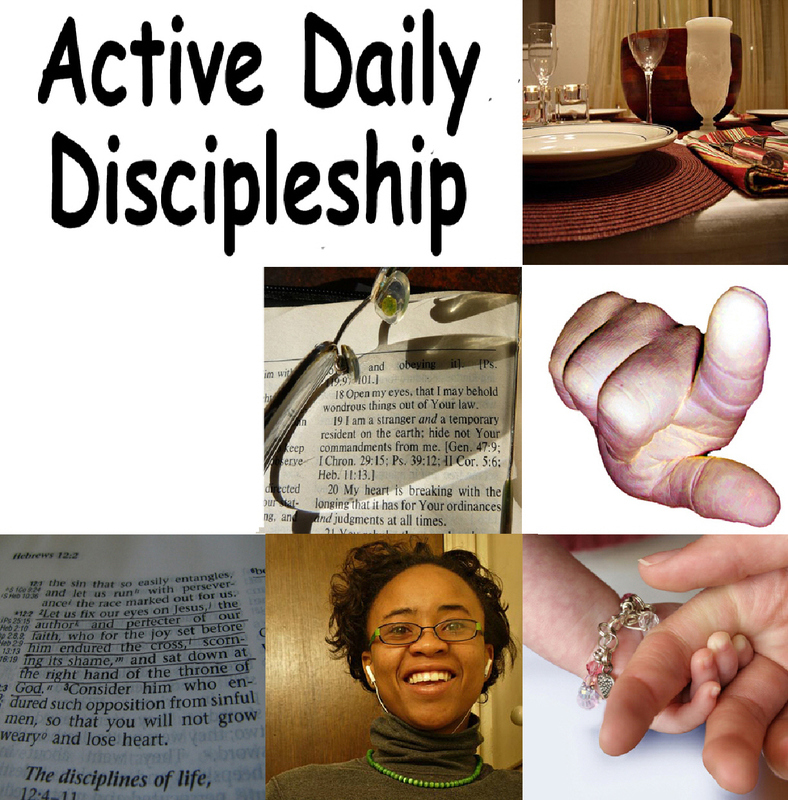 What is the message I proclaim as a Christian disciple, both in words and lifestyle? Q2. How and why do I tell others this message, despite opposition? Q3. What is my motivation for telling others the Christian message? 1. The Church is Holy! From this verse of Scripture, we see that Jesus prayed to the Father that his body the church would be holy! How is the church made holy? Through Jesus’ holy sacrifice on the cross and the Holy Spirit’s sanctifying work within individual believers (1 Corinthians 6v11). The church is holy, in that it is God’s separated people living in the community, in the power of the Holy Spirit, and through a perfecting faith in Jesus Christ (2 Corinthians 7v1). The church is not to be an exclusive and holy society secluded from the world, but rather God’s salvation bearing movement going out to the world. The church is also holy, in that every Christian is holy and declared righteous through a living relationship with Jesus (Romans 3v22). This means that the church has imputed holiness and is seen as the spotless and sinless bride. Despite being deemed holy, the New Testament church was also subject to doctrinal error (1 Timothy 6v3), immorality (Revelation 2v14) and division (1 Corinthians 11v18). Dare I say, that churches today, are the same! Jesus Christ is the head of the church, and therefore a church’s relationship with Him, is identified through biblical morality and faithfulness to His teaching. When in the book of Revelation, Jesus did not find holiness in the churches he was condemnatory of them (Revelation 2v20), but continued to call them His bride. Augustine cites Christ’s holiness as the reason for the church being holy, and the church will be made perfect on the last day. However, being holy does not just mean being sinless. Holiness also means to be separated out and set apart for God’s special purpose and work. This work is that the Gospel may be spread to all parts of the earth, by his chosen people, the Church - people who are and were being sanctified by the Holy Spirit and rooted in Gospel truth (2 Thessalonians 2v13-14). For Luther, the church is holy because “God’s word cannot be without God’s holy people and conversely, God’s people cannot be without God’s word.” By this, he means that wherever the Bible is preached faithfully, the church consisting of God’s holy people also resides. The method by which this hallmark can be tested in any church can be observed in the function of worship. If the community is a worshipping community, then the church can be seen to be ‘holy’. Worship as a church function derives from the hallmark of the church being holy. Worship is an intimate, dynamic and holy encounter with God, because Jesus is in the midst (Matthew 18v20) and empowered by the Holy Spirit (Philippians 3v3). Why worship? There are various reasons as to why the church worships God, although primarily because God commands it, as 1 Chronicles 16v29 reminds us “Give to the Lord the glory he deserves! Bring your offering and come into his presence. Worship the Lord in all his holy splendour”. The Ten Commandments, also known as the Decalogue, also clearly commands people to worship God alone (Exodus 20v3-10). Not only is it a command, but God deserves worshipping by His church for He alone personifies goodness (Psalm 100vv4-5), mercy (Exodus 4v31), holiness (Psalm 99v5,9) and power (Revelation 4v11). Thirdly, God is to be worshipped by His church in obedience to Him as creator (Revelation 4v11) but also as its Saviour and Lord (Habakkuk 3v18). Worship also brings exuberant satisfaction (Romans 12v2; Colossians 3v24). Perhaps the greatest manifestation of public Church worship is seen in the two ordinances (or sacraments) of the Eucharist and Baptism. Celebrating Holy Communion is in direct obedience of Jesus’ command that all Christian Disciples are to celebrate the remembrance of Him (Matthew 26vv26-28; Luke 22v19). Partaking in Holy Communion not only symbolizes His death for our sin (Luke 22v19), but also symbolizes the Christian Disciple’s acceptance of Christ’s death for them and their dependence on Him for spiritual life. Baptism, which is commanded for all Christian Disciples (Matthew 28:19; Acts 2:38), naturally follows after conversion (Acts 2:37). To be baptized means to be baptized into Christ (Romans 6:3), which symbolizes a total identification with Jesus as a result of being baptized into His body (1 Corinthians. 12v13) and into His death (Romans 6vv1-6). Through baptism, the Christian Disciples’ sinful natures are seen as dead with Christ (Romans 6v6), and we are raised to live a new life with a new nature (Romans 6v4)! For more to think about please do read 1 Chronicles 16v23-36. Ask yourself the following questions, writing them down if you can, and see how you respond or react to them. Then why not share your answers with your spouse or a close friend, so that you can pray over any issues together. Q1. Why do I as a Christian Disciple, worship God in a church? Q2. How does worshipping God, help me in my relationship with Him? Q3. How is the inherent link between holiness and worship, help me grow in Holiness? From this verse of Scripture, we see that Jesus prayed to the Father that his body the church would be involved in a united and dynamic relationship (John 17v11). By the way, when referring to church here, I am speaking of the one universal and invisible church, and not the local visible churches. There can only be one church, because there is only one body through which salvation can be found within. It is unique and it is Jesus Christ’s Bride, Body and Temple. There is only one Christ, ergo there must only be one church. The unifying fellowship people have with each other is founded only upon Jesus in what Jürgen Moltmann calls the “assured and consistent fellowship of Christ.” There was only one Cross, therefore there can only be one Kingdom and church. There is only one God, therefore there could only be one people and one church known by its unity (Ephesians 4v4-6). Jesus stipulated that there is one shepherd and one flock, when referring to Himself and his followers the church (John 10v16). Unity however does not infer uniformity. On the proviso that core beliefs are maintained (1 Corinthians 15v3-4), there appears to be room for some digression regarding secondary beliefs (Romans 14v1–15v13). Individual churches have different local needs to be faced, and have therefore dissimilar requirements. For a group to claim that they alone have the ultimate truth and are the only true church is systematic behaviour of evil cults and sects. Self evident of this approach are the differing worship styles of the New Testament church. Whilst most persevered with a Judaist worship model, others followed a different format (1 Corinthians 14v26-40). To further illustrate the problem faced by having one universal church yet a multitude of visible local churches. There are four distinct approaches which help explain this tension: imperialist, platonic, eschatological and biological. The Imperialist view is favoured by the Roman Catholic Church, which claims that it is the only one church that can be observed as having unity, thereby signifying its claim to be the one true church. The Platonic viewpoint claims that there is a basic distinction between the historical church and the ideal church. The Eschatological viewpoint follows Calvin’s theory of the invisible church becoming visible and known only when revealed at the last day and all present disunity will be abolished. The Biological approach takes the view that the historical church develops and evolves like tree branches. However Ignatius’ maxim, “ubi Christus, ibi ecclesia” dictates explicitly that the church’s unity is found only in Christ. The united church is a spiritual entity, not to be judged by external signs and values but to be founded only upon God’s unity within the Trinitarian Godhead. As for the sacraments, the Eucharist is celebrated together, hence its name in some traditions as Holy Communion. Baptism is done with others as a means of fellowship, with others performing the baptism and acting as witnesses. The means by which this hallmark can be tested in any church is revealed in the function of fellowship. If fellowship exists and is functioning, then the church can be seen to be participating in this hallmark and be ‘one’. One particular aspect of the church being ‘one’ is that its members have fellowship, resulting from walking with one another (1 John 1v7). The church is a gathering of humans, engaging in human activities with human “customs, texts, orders, procedures and possessions” through the power of the Holy Spirit. What is fellowship? This is rooted in the words koinōnia and koinōneō, which are defined as a mutual sharing together, and not merely a mutual association. It was both in having fellowship and giving fellowship that the New Testament church understood fellowship. Why fellowship? When Christian disciples fellowship with each other, God is glorified as a result (Romans 15v7). It is as a collective body that the Church fellowship grows in grace and maturity together, overcoming by grace, the weaknesses of each individual member (Ephesians 4vv12-16). Another reason for fellowship is for mutual exhortation “toward love and good deeds” (Hebrews 10v25). By this the lives of individual church members can live a consistent godly life, particularly if sins are confessed to each other (James 5v16). New Testament exhortations to live holy lives are said to groups (Romans 6vv1-23). Victory is also seen in the eyes of a fellowship, rather than singular individuality (1 Corinthians 15v57; 1 John 5v4). Whilst God deals with us as individuals, it is through fellowship that God strengthens the individual, for individuals are “complemented, supported, healed and compensated” by other Christians. These are all very good reasons why all Christian Disciples need to find a Church to attend! For more to think about please do read Ephesians 4vv1-16. Ask yourself the following questions, writing them down if you can, and see how you respond or react to them. Then why not share your answers with your spouse or a close friend, so that you can pray over any issues together. Q1. What effort can I make to show the world the unity of the Church? Q2. What can I say if somebody thinks a Christian disciple doesn’t have to be attached to a local church congregation? Q3. What results from me doing the work God has for me in His church?